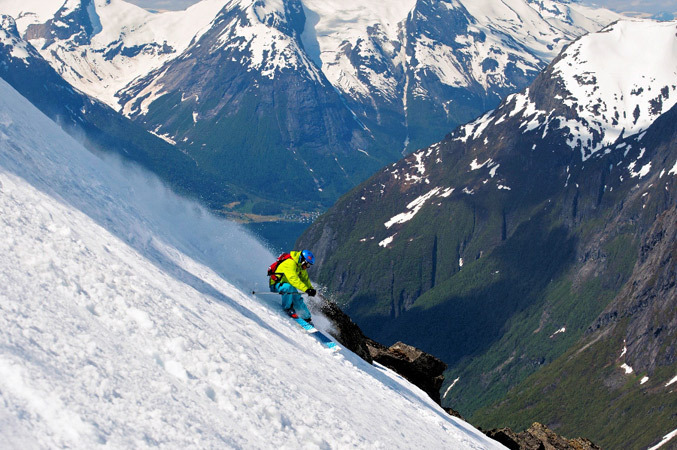 Stryn summer ski most often opens in late May and gives you perfect summer skiing throughout the summer. The resort has both snowpark, offpiste and alpine skiing opportunities. The Stryn centre will position its glacier T Bar in a location that will provide best access to back country as well as freeskiing terrain. Stryn offers festivals, camps and competitions through the spring and in to Summer. It was once named the best pre-season training resort by legendary Italian slalom ski racer Alberto Tomba. For accomodation there are several hotels and the well-known Folven Camping with afterski. Get Snow Reports, Powder Alerts & Powder Forecasts from Stryn Glacier Ski straight to your inbox!